Today marks the 67th anniversary of Chin National Day observed every year by Chins around the globe to commemorate a united and collective decision of our forefathers to relinquish class-conscious feudalism and espouse democratic system based on freedom, equality and the desire of the majority public. 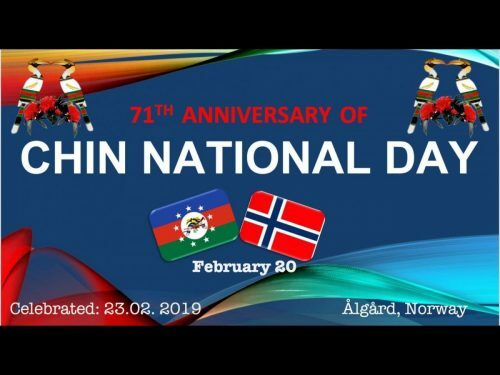 Under the leadership of CCN, Chins living in Norway have celebrated CND, recognizing the importance and significance of this historic day and also reaffirming the commitment of federalism within the Union of Myanmar. The CND was banned and the people promoting the day were severely punished by the Military regime till 2012. The meeting between CNF and government held in November 2012 recognized the February 20 as the Chin National Day and public holiday in Chin state. The CCN issued statement back in 2013 welcoming the designation. We call on all Chins to resolutely embrace the national spirit laid groundwork by our forefathers and political leaders throughout our history and bravely fight against extreme ideologies and unhealthy propagandas undermining our collectiveness and understanding among us. The CCN sees reforms being undertaken by the incumbent government as both positive and encouraging. However in order to build a more democratic and federal regime in Myanmar it is necessary to have active, genuine and honest participation from all parties especially the Military leadership and ethnic armed groups. We therefore call on all stakeholders in Myanmar to avoid unhelpful confrontation and start serious cooperation to quickly reach genuine peace desired by the people. We also call upon the Norwegian government to review its policy towards Myanmar with the perspectives and inputs from oppositional forces both inside and outside Myanmar to rebalance its policy priorities that might specifically promote free and fair election in November, peace and harmony in Ethnic areas and the empowerment of civil societies. And lastly we call upon the Norwegian businesses going inside Myanmar to invest more in human right friendly capacity building and small business enterprise. I dag markeres den 67 ende nasjonaldagen for Chin-folket. Denne dagen feires hvert år av Chin-folket rundt om i verden for å minnes en forent og kollektiv beslutning av våre forfedre om å gi avkall på føydalisme og adoptere et demokratisk system basert på frihet, likhet og folkets flertallets ønske. Under ledelse av CCN har Chin-folk feiret nasjonaldagen på flere steder i Norge, de ikke bare anerkjenner viktigheten og betydningen av denne historiske dagen, også bekrefter engasjement av føderalisme innenfor Myanmar union. Chin-folkets nasjonaldag ble forbudt og dem som fremmet denne dagen ble hardt straffet av militærregimet frem til 2012. Forhandlingsmøtet mellom CNF og regjeringen holdt i november 2012 anerkjente ’februar 20’ som Chin-folkets nasjonaldag og helligdag i Chin staten. CCN utgav uttalelsen tilbake i 2013 for å vise velkommen til den betegnelsen. Vi oppfordrer alle Chin-folk å resolutt omfavne den nasjonale ånd grunnlagt av våre forfedre og politiske ledere som gjennom vår historie har tappert kjempet mot ekstreme ideologier og usunne propaganda som svekker vår enhet og forståelse blant oss. CCN ser reformer gjennomført av den sittende regjering som både positive og oppmuntrende. Men for å bygge et mer demokratisk og føderalt regimet i Myanmar er det nødvendig å ha aktiv, ekte og ærlig deltakelse fra alle parter spesielt den militære ledelse og etniske væpnede grupper. Vi oppfordrer derfor alle interesserte grupper i Myanmar til å unngå uhjelpsom konfrontasjon og begynne samarbeid for å oppnå en ekte fred ønsket slik den er ønsket av folket. Vi ber om at den norske regjeringen revurderer sin politikk overfor Myanmar med perspektiver og innspill fra opposisjonelle makter både i og utenfor Burma for å rebalansere sine politiske prioriteringer som spesielt fremmer fritt og rettferdig valg i kommende november, fred og harmoni i etniske områder og myndiggjøring av sivile samfunn. Og til slutt anbefaler vi de norske bedriftene som etablerer seg i Myanmar til å investere mer i menneskerett vennlig kapasitetsbygging og små foretak. Tuchun hi kan pupa hna nih ramukphung hrawh in covo ai ruangmi, zalawnnak le mipi duhnak hrambunhmi zaukphung (democracy) uknak hmang dingin zapi nih lungruang tein biakhiahnak an rak tuah khawh ni asi i, vawleicung kenkip um kan Chinmi hna zong nih kum tin kan tuahmi a voi 67 nak Chin Miphun Ni asi. 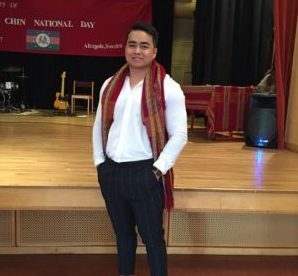 CCN hruainak in Norway um Chinmi hna zong nih kan tuanbia asimi hi ni sunglawi philh loin le Burma Union chungah federal phung kan duhnak i thlaih buin, CND cu tuchun tiang kumtin kan rak tuah ve lengmang. Kum 2012 tiang CND cu ralkap cozah nih an rak khap, a tuahmi hna le ttanlatu hna hmanh kha fak piin an rak hrem hna. 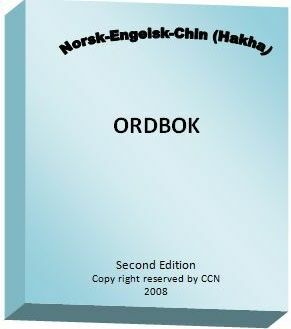 November 2012 CNF le Cozah tonnak an tuah i biachah hnatlaknak an ngeih hnuin February 20 cu Chin National Day ah an cohlan lawng siloin Chinram ah zungkhar ni ah serpiak arak si cang. Kum 2013 ahkhan, mahbantuk in CND an cohlanmi lungtlinnak zong CCN nih ca kan rak chuah. Kan pupa hna le ramkhelrian kan pale hna nih hlankan tein an kan chiahpiakmi Miphunpi thinlung kha fek tein i tlaih buin pumkhat kan si nak le kanmah karlak ah theihthiamnak a hrawk khotu hmuhning faktukin i tlaihnak le a ngandam lomi thawng phawtzamhnak pawl hna kha ral ttha tein do i zuam hna usih. 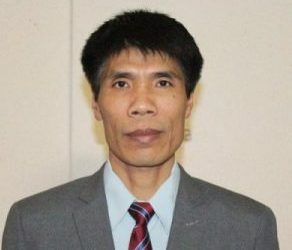 Tulio cozah nih a kalpi cuahmahmi thlennak cu CCN nih a tthami lei le lungthawh awk thlennak ah a hmuh, nain democracy diktak le federal phung taktak kan ngeih khawhnak caah cun, ram sernak ah ai telmi phu kip hna, a hleiin ralkap lutlai hna le tlangcungmi hriamnaamtlai hna nih lungtho tein a dikmi le lungthiangmi thazaang chuah cionak an ngeih khawh ding hi a biapimi asi. Cucaah Burma ram sernak ah ttuanvo ngei phu vialte hna nih a herhlomi le santlai lomi i entaunak kha hrial in, biatak chuah in i bawmh cio hna usih law, a ran khawh chungin mipi duhmi adikmi daihnak kan hmuh khawhnak caah kan zuam piak uh tiah kan nin sawm hna. 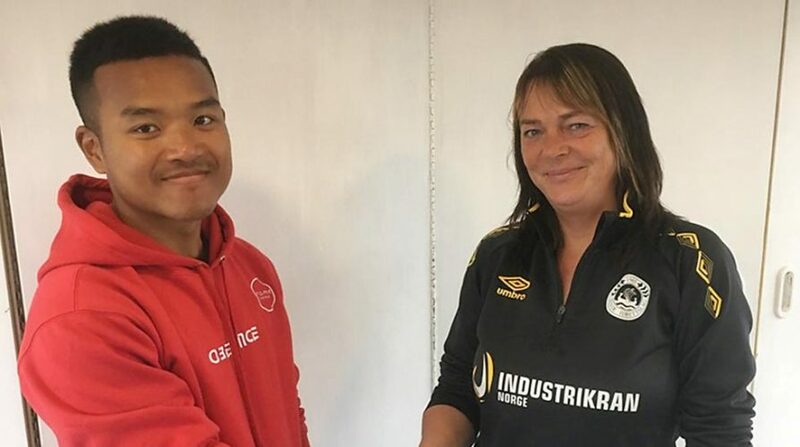 Cun, Norway cozah zongnih Burma ram cungah nan chiahmi pawlisi cu rak kan zoh piak tthan ulaw, ram chung ram leng cozah silomi thazaang ruahnak kha biapi in kan chiah, ngaih piak ve uh. Cun cu ti nan tuahmi thawngin kan ram ah a ra laimi November thimnak ah zalong tein le ningcang tein kan tuah khawh nak hnga le tlangcungmi hna umnak ah daihnak, mipi buu (civial society) hna nih thazaang an hmuh khawhnak ah kan bawm rih ko uh. Burma ram chung chawlehnak a tuahtu hna Norway company pawl zong nih minung covo kha biapi ah chiah in le company hme deuh hna kha usape in kan cawl piak uh tiah kan nin nawl ko hna.